The ability to customise the Sitemap in Dynamics CRM to show only the menu items required for a specific business area can help focus the user on their business task and help deliver bespoke business process requirements and user experience. Security roles allow you to restrict access to entities based on privileges assigned to the users security role, Disabling read access to an entity through the security role will also remove it from the Navigation, but will not hide the entire navigational menu unless all the Entity Sub groups are hidden. I have experienced that locking the Security privileges too tightly may interfere with other integrations that require the users credentials where the Users account should be able to read a particular record via SDK message or workflow, but not through the crm interface. 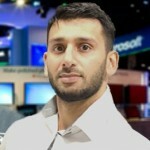 Therefore I recommend using the following approach of creating a custom Entity which will create a security privilege you can use to control access to the Navigation for your CRM users, and then applying the Custom Security Privelidge to the Navigation SubGroups items using the Sitemap editor. These main CRM Navigation areas that we are interested in hiding also consist of Sub Areas, which are the entities. In order to hide the Main Navigation area we will have to hide ALL of the SubArea objects. The way to do this is setting the ‘Read’ Privelidge on the Sub Area to the corresponding custom Navigation entity we created earlier. 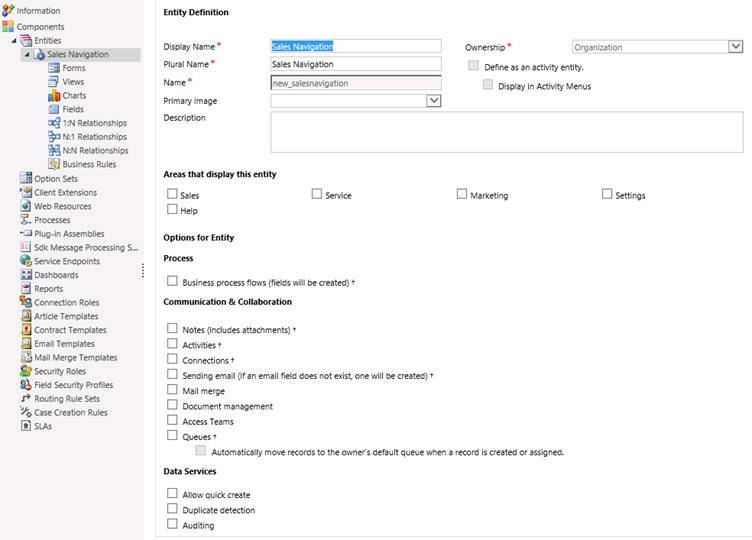 The SiteMap Editor can be used to add security Privileges to the Subareas, allows us to assign the our custom navigation entity security roles we created in part 1 to be assigned to the Sub areas of the Sitemap, allowing us to grant access to the navigation menus based on users with corresponding security roles. The Entire CRM Area will be hidden if Access to all the Sub Area objects is denied. To Hide an Entire Menu Area of a Sitemap for a given security role, the users role must be denied access to all of its Sub Areas. So we could go about enforcing the policies for the Main CRM Areas by granting Access to all of its Sub Areas for the corresponding security groups. So for example, to hide the entire Settings Area for a given security role, we would have to ensure all the Sub Areas under Settings do have access privileges for that group. 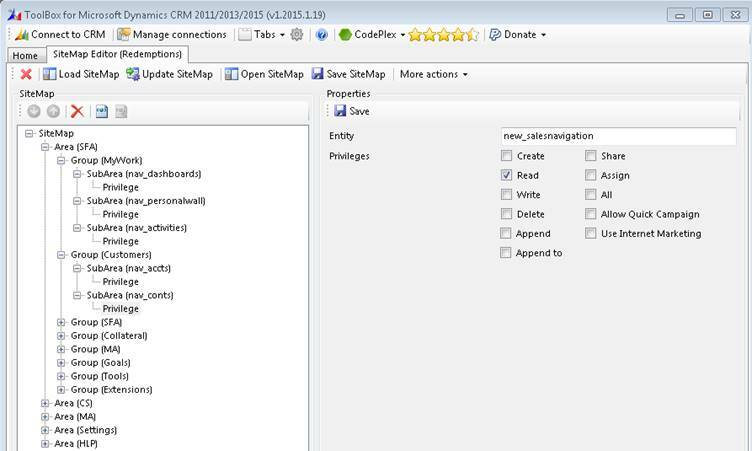 There are Several Sitemap Editors available, such as XRMToolbox or XRM.tools, which also provide the ability to roll back to the default sitemap if required. Happy CRM’ing!